"Illness is not only treated, but prevention is incorporated as a measure to improve longevity and quality of life." 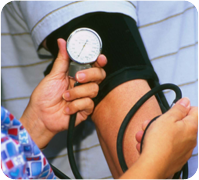 FREE Blood pressure screenings are available at Dr. Stern's office on Mondays 5 p.m. - 7 p.m. and Thursdays 9 a.m. - 2 p.m. Call for an appointment.